Shopping for a more affordable fly reel that can also pull larger fish can be somewhat overwhelming. 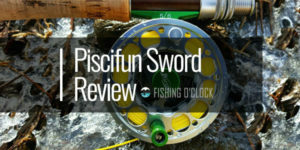 Being new to fly fishing there are so many options for reels. 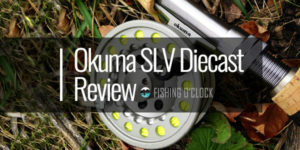 With the Okuma SLV Die-cast Aluminum Fly Reel, you are spending a moderate price but able to enjoy the reel for several seasons and even years, depending on the maintenance. A lot of companies boast the same great things about pulling in that big catch. With Okuma, they are known for being affordable, reliable and dependable. This SLV Diecast Aluminum Fly Reel is no different. It is moderately priced however the range of fish this catches proves to be well worth the cost. Starting with the drag system, the Okuma surprisingly was able to pull in larger catches such as 10 lb. bonefish as well as some freshwater fish like largemouth and musky. The diecast large arbor design spool design gives this reel a smooth line even with the one-way roller bearing. The precision machined brass brushing system and the multi-disk cork coincides well together. The screw cap system for the adjustments may not work for some. However, for the angler that is still getting experience in fly fishing, with the overall great use of this drag system, the screw cap should not be a deterrent. Novice anglers can easily and quickly navigate to where this reel works perfectly for them due to the simplicity of the Okuma. With this reel being extremely light, yet sturdy, the more amateur fisherman would just need to keep it simple when reeling in their catch. 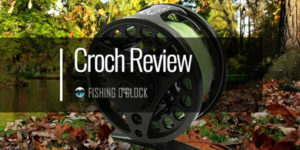 This reel is durable and there is still the option of using an adequate line capacity. There are no rough edges so this reduces the chances of snagging the line. Fish such as bonefish that may give a slight fight, however, reeling in will definitely work for the Okuma. The retrieve can easily be changed from right to left hand with no issues. 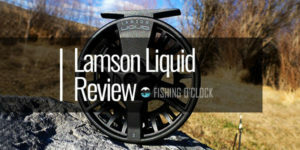 It is suggested to go with a larger reel for your weight which in turn means you are running less backing and ultimately going with a shorter line. The rubber, non-slip padding on the knobs provide great grip when making adjustments. This comes in handy when reeling in the medium size game. The line capacity and the ability to add additional backing really does work well. At first, there was slight wobble or movement in the spool. However, once you learn how much power to use to navigate the drag adjustment wall, pulling in a few fighter fish is not an issue. Knowing that we can add additional backing, this does not make the reel too bulky. It is still a lightweight piece of equipment. There are some cons to this reel. Going in to purchase a reel solely based on price does run the risk of not everything being perfect. Luckily, with this price point, purchasing a backup reel is feasible. One of the issues would be the plastic threads used in the drag system. This does run the chance of breakage and clogging easier from sand and other debris. With careful maintenance and ensuring the catch you are targeting is the appropriate weight, this is not a deal breaker for purchasing the Okuma SLV reel. Another slight con is the spool is not interchangeable in size. Okuma is not the first company to make a reel without an interchangeable spool. The upside is the spool is, of course, replaceable and does come unattached easily. 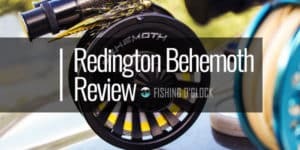 This is one of the reasons why this reel would work perfectly for the beginner anglers or as a backup option for the more experienced fisher. This reel is not ideal for the large running fish but can handle a fight on one or two occasions. It is a little more fragile since it is made from aluminum and still susceptible to rust and corrosion. With great maintenance and care, such as rinsing with warm water after every use, this reel can last for seasons and maybe even years. 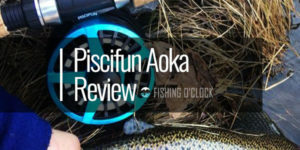 The Okuma SLV Diecast Aluminum Fly reel is an investment under $100. This may not be ideal for your large catch or even the best option for a more experienced angler that plans on heavy use. With that stated, the Okuma is not one to be taken as a poor performer. There are certain things such as playing a fish, which may not work out the best. This bargain provides a reel and drag that is durable. The light, sleek construction, along with the adjustable drag makes this reel one of the most popular fly reels among professional anglers. The non-slip knob is easy to operate and when put to the test, performed just fine. This did not take away from the reel still performing well. The drag system is strong and can perform in both freshwater and saltwater fly fishing. It can range in the types of the game an angler is searching for. As long as you keep in mind that with care and continued maintenance, this reel will last through a few seasons.